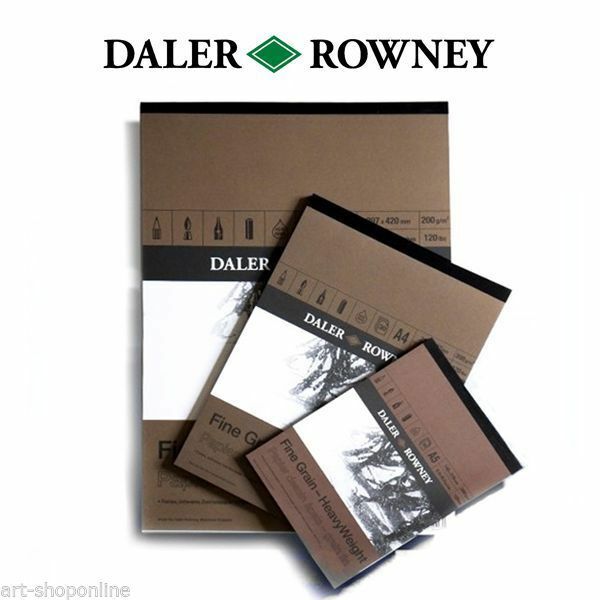 The Daler Rowney Fine Grain Drawing Pad provides an excellent surface for drawing with graphite, coloured pencils or with charcoal. The thicker paper is also suitable for use with drawing inks and will accept a small amount of watercolour. The pads are available in A3, A4 and A5.